Someone very wise once said that the secret to flawless makeup is flawless skin. Now, we all know that only a small percentage is blessed with naturally flawless skin, and I’m not one of them. So to solve this problem, after skincare, foundation is where I invest most of my money and effort, trying to find the one that will make my skin look as naturally flawless as possible. I’ve tried many foundations, with a few disappointments along the line, but I finally managed to narrow down my Top 5 Foundations. Let’s get to it! 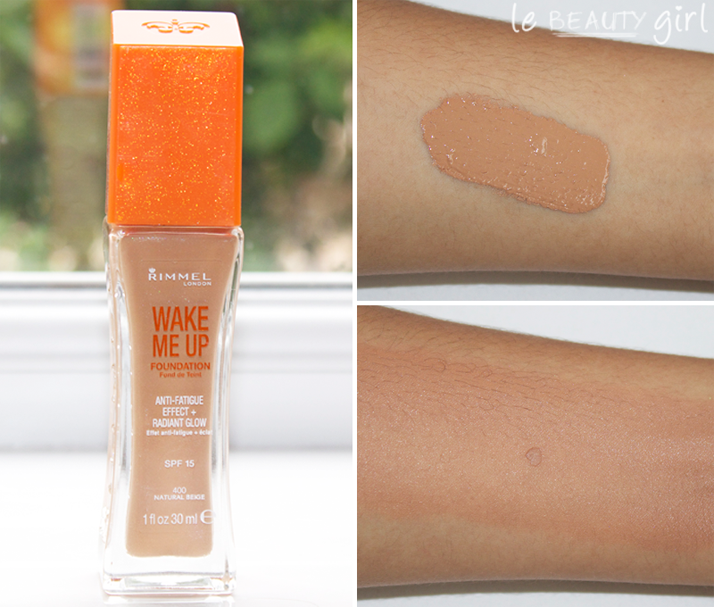 This foundation evens out your skin tone without loosing the skin’s natural look and texture. It doesn’t cover all blemishes, but a touch of concealer will do the job. The lack of SPF in it means that this foundation photographs beautifully without flashbacks. If you have oily skin, you may find it a little bit too dewy; I have dry skin and sometimes I feel the need to powder my skin after applying this foundation to reduce the ‘sticky’ feeling until it fully sinks into the skin. This foundation feels so light on the skin you don’t even know it’s there most of the time. It’s the perfect foundation to make my skin look healthy and fresh! 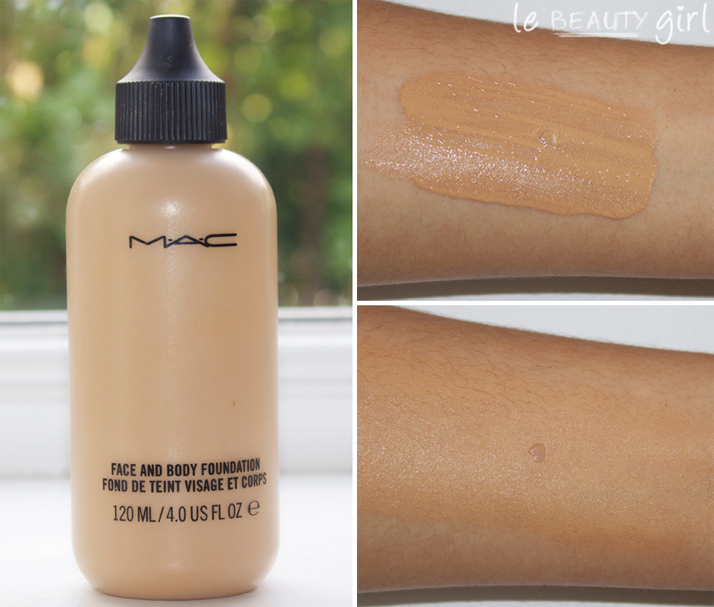 The very thin consistency of this foundation makes it easy to blend it into the skin. Because it’s water-based it does separate a bit in the bottle, so remember to shake well before application. I find that I need very little concealing after applying this foundation, but beware that the tiny 30ml won’t last you long. It’s great on dry skin and it leaves a lovely fruity scent behind as well. 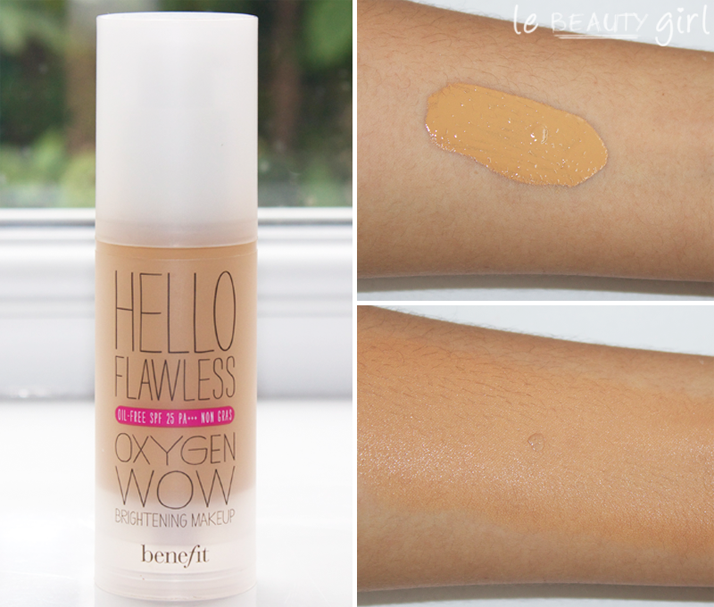 This foundation ticks all the boxes for me; medium coverage, natural finish, brightening finish and quick absorption. Best of all, I managed to find my perfect shade with yellow undertones. It’s perfect for day wear because it has a high SPF, but not so good on photos because of the flashback you’ll get from the SPF. I don’t need any powder after applying this foundation and only use concealer under my eyes. The formulation is creamy, but not heavy, and it lasts all day long. This is my favourite high street/ drugstore foundation. It leaves my skin looking flawless, bright and moisturised. A little goes a long way with this foundation, and if you’re not careful it can end up looking a bit cakey on you’re skin. The SPF is the perfect amount to protect your skin and still look good in flash photography. The biggest problem with this foundation is the poor shade selection; I use the darkest shade, which is too dark for me, but the shade lighter is too light. This foundation does contain tiny specks of shimmer, which to me is not a big problem because I think it helps with the whole glowy look, but some people may not like that. 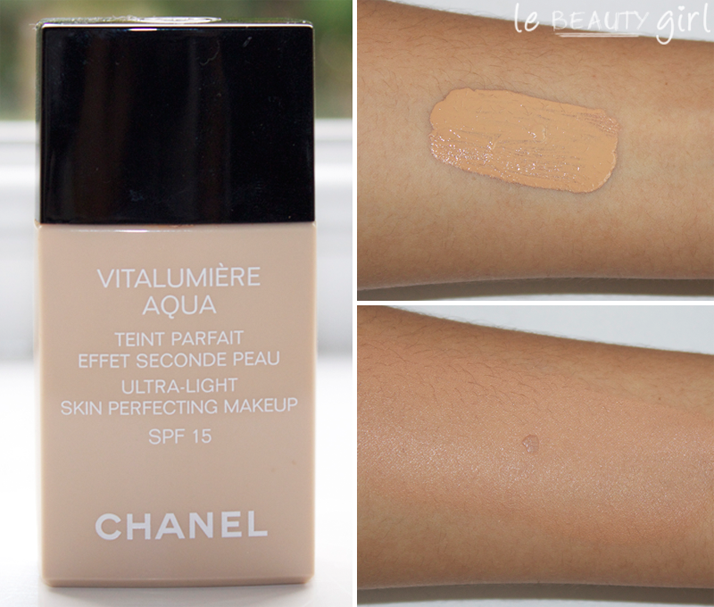 This is my favourite full coverage and long-wear foundation for when my skin is looking a bit worse for wear. It covers every single blemish, spot and pigmentation and it’s also great for flash photography because of its low SPF. It’s not the best foundation on my dry skin as it clings on to dry patches and enhances them, but nothing that a bit of moisturiser under the foundation wouldn’t solve. It feels quite heavy on the skin, but to avoid it looking cakey I make sure to blend it really well into my skin with a foundation brush. If you have yellow undertones like me, this foundation will probably not be a perfect colour match on you, as it has pink undertones. There you have it, boys and girls! To be honest, it was quite easy to narrow it down because the 5 ones I chose ticked most of the boxes. 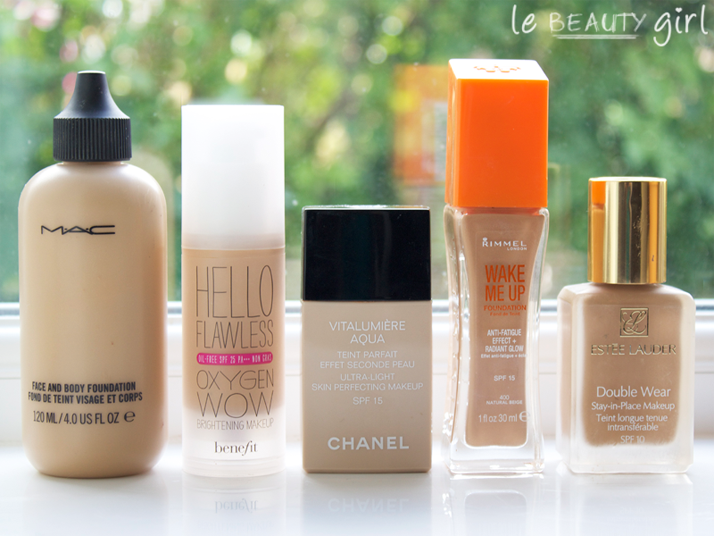 Now it’s your turn to tell me which are your favourite foundations? Which foundations do you recommend I try? I’m a powder foundation girl myself and I LOVE MAC Studio Fix. It’s brilliant and their choice of shades is fantastic. However, I am on the lookout for a cheaper alternative, as an incoming baby means I’ll have less money for luxuries…! A boy! Which is why I think I’m getting seriously back into makeup- my house is going to be full of males, so a bit of girly-ness won’t go amiss ;) I love Studio Fix, but I think it’s a foundation people love or hate- if you have a MAC store nearby, I’d try it there first! Another great review Ysis! Both the Chanel and MAC face and body are on my ‘to try list’. At the moment I am swearing by Laura Mercier tinted moisturiser however I tend to use EL invisible skin or Jemma kidds light as air but I do have the double wear for evenings. I am on the hunt for a decent one for evenings without SPF but they seem so few and far between. revlon colourstay has to be the best drugstore foundation.For more information about Beauty Products Visit at sleekhair Website. This post really helped me out thanks, I have recently bought a mac foundation in studio sculpt nc15 but was disapointed in how little coverage and horrible look on my skin, am I using it incorrectly do you think? great review, im dying to buy the Estee lauder double wear foundation, are all the shades pink undertones? im an NC25 in mac wich shade will you recommend for me? Thanks for the review, but aren’t they too dark for your skin? And too yellow? 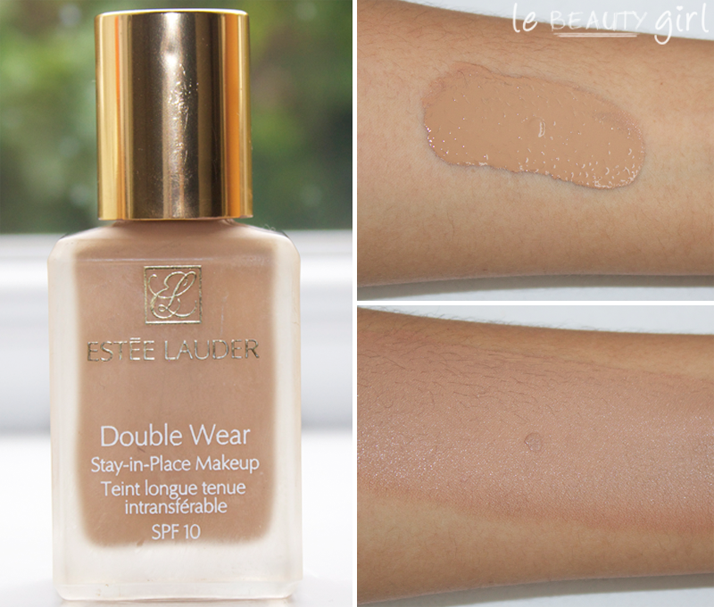 I think the best of all, is the estee lauder double wear, but the one that have medium coverage, it looks great, it is not heavy so you can use it for day wear, or for night and it looks awesome. You decide how much coverage depends on the ocassion. For me, it’s the best of all and i have try a lot of foundations. I love the coverage on this but I have sensitive skin – i fell asleep one night after a night out with obviously still full coverage – i broke out like mad. The staying powder in this bad boy is unreal so ill give it that one! I would buy again only if i had the right cleanser to remove this product fully! Love your blog posts! :) Just read the review on touche Eclat Foundation – considering buying!